A short-sighted man walks into a pet shop under the impression it is a cafe and sits down, a few minutes later he decides to get some 'food', so he calls over a staff member, points at a turtle and says "Give us one of those would you?" The puzzled worker gives him a turtle and he pays for it and walks out. Half an hour later the same man comes in and says "Gives us another one of those crusty meat pies would you?". 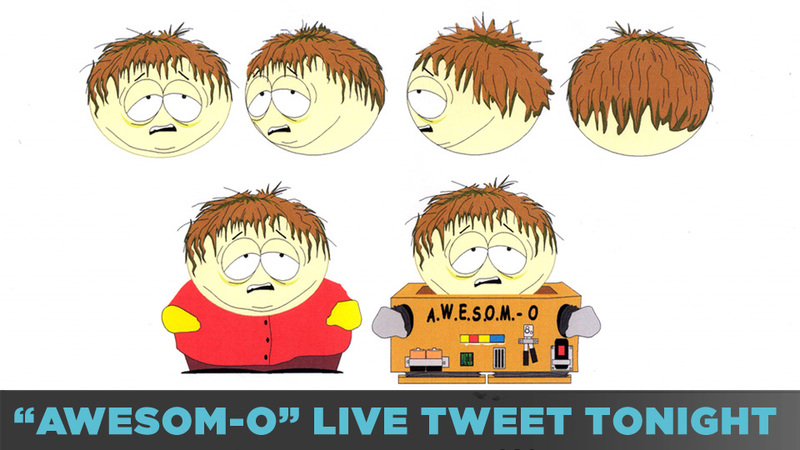 AWESOM-O Live Tweet: Tune in to the episode on Comedy Central TONIGHT @ 9:30p EST and follow along with us LIVE on Twitter - we'll be sharing tons of exclusive pictures, never-before-seen show art, and "making of" content. 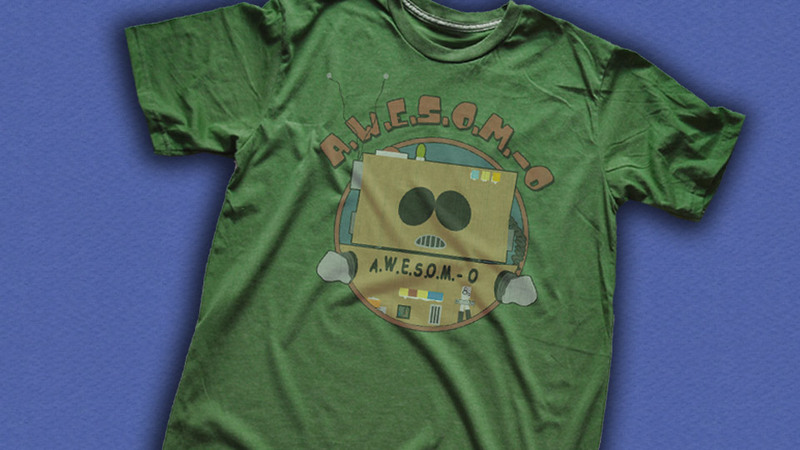 Shop: Get your official AWESOM-O gear in the South Park shop. Featured Collection: Cripple fights, Bat Dad brawls, and awesome anime vengeance. Get ready to throwdown. 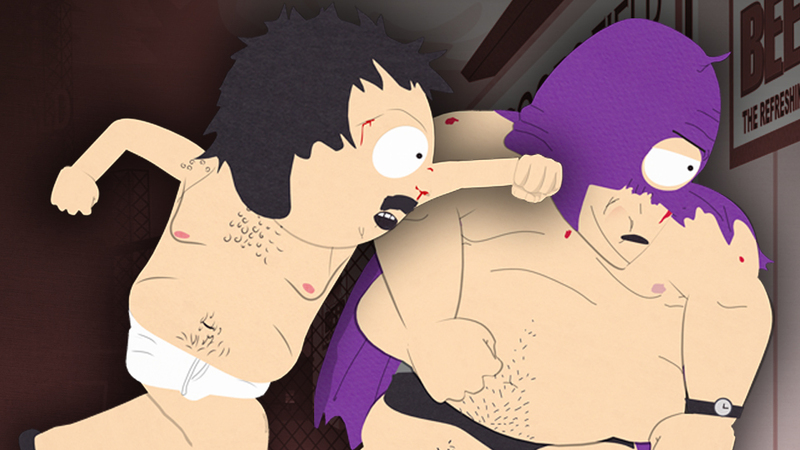 These are South Park's most epic battles! 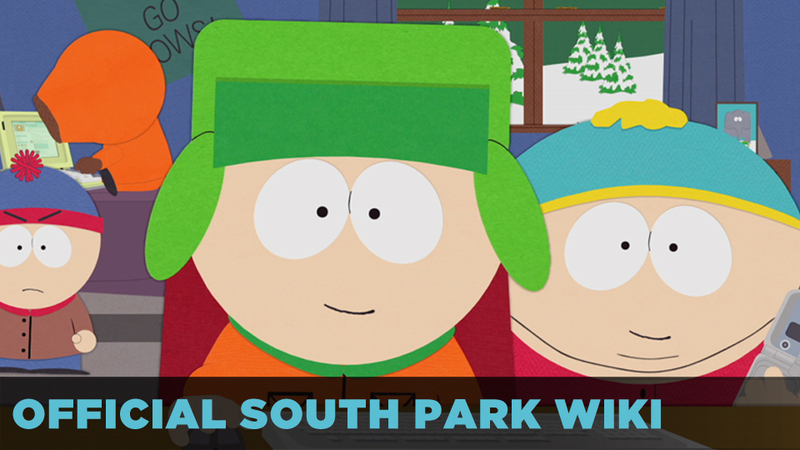 South Park WIKI is OPEN: Hey guy, the South Park Wiki is live and needs your epic South Park knowledge! Wanna add something cool to it? It's easy! Check out the Help Guide here for some basic pointers. Check it out! There's no prior Wiki experience needed.